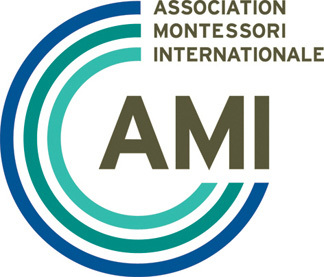 "The AMI 3-6 Course is very comprehensive, the trainer is always on hand to offer advice and assistance, the Montessori Philosophy is the foundation of the course, what you learn from the training is mirrored by the trainer. I have learnt a great deal, it has benefited me as a person, a mother and as a guide for other children and their families. It has been a rewarding and fulfilling journey." "I am presently enrolled in the AMI 3-6 Diploma on the Sunshine Coast and close to completion. I am teaching full time in a 3-6 environment as well which I started just before the course started in 2011. I have found the course to be invaluable. I feel that I most definitely would not have been able to be an effective guide without the knowledge and understanding I have gained of the young child during this plane of development, from this training. After each training block I have been able to apply the knowledge and over the three years now that my new class has been growing, I have seen so many advances that the children have been constantly making. I have noticed how they enjoy learning and that it comes very naturally to children. For myself I have also been growing and constantly adapting and adjusting to meet the needs of the children in my care. All of the course participants and the trainer have become very close, and we share and learn from each other and have made life long friendships. I have also enjoyed the opportunity of going to visit other established environments interstate and to learn from them and develop connections and friendships. The course is a lot of work, and has stretched me at times, but is well worth it. I would highly recommend this training to anyone, and if you have the opportunity to do it, grab it, and make it happen. You won’t regret it!" "I have gained so much more knowledge and understanding about the Montessori approach and the role of the assistant through this course. Our trainer does everything possible to give you the satisfying answers you ask and puts so much love into every aspect she speaks about. It has been a pleasure being able to be a part of this course and I feel it is already helping me further my future." "I have taken language and communication 'tools' from this course into the classroom and used them practically with great results - for myself and the children!" "The trainers experience with children in a Montessori setting, together with her experience presenting to adult's is the perfect combination for this course. We are given so much information but I haven't felt overwhelmed, perhaps because it is presented in an accessible way with plenty of opportunity for discussion and clarification. The trainer is a great example of role modelling in the spirit of Montessori which is a great example for us as students and potential assistants." "I have definitely enjoyed doing the AMI course and have met some wonderful ladies whilst doing the course who also share the same passion as myself in the education of children. I have gained so much from doing this course and have really understood the role of a Montessori adult and how important it is to role model these values and attitudes. It has given me a better understanding of what is required as an assistant to work in a Montessori environment. Our lecturer was great and showed me many ways of how to show encouragement rather than praise in a Montessori setting, how to role model practical life lessons and how important it is to let the child gain independence. I really enjoyed the course and benefited from it as I came in with little knowledge of Montessori education. By doing this course it showed me how to be a positive role model and how we under estimate the capability of a child. I would definitely recommend this course to anyone who would like a better understanding of Montessori education."